Your home loan is arguably your most important debt and asset. Staying on top of home loans repayments should be a priority − because it is usually one of your biggest monthly expenses, it is difficult to catch up with payments if you fall behind. Everyone finds themselves stretched financially at some stage. With holiday debt still around, school fees just paid and interest rates up, you may find yourself with no breathing room and your biggest and most important debt, your home loan, is suddenly a big commitment. The very heart of the issue is that your income needs to exceed expenses. The only way in which to make this work is to increase your income or lower your expenses. Make the money you earn work for you by implementing strict measures to get back on top of your payments. Print out a bank statement and look at each expense leaving your bank account. More than likely unnecessary expenses are coming off, whether it is pay TV, other entertainment or even unnecessary banking fees, each rand saved will help. There is not much point in having pay TV or ordering in pizza if you don’t have a home in which to enjoy these luxuries. It is important to note that this isn’t forever, just until you are back in a comfortable space. There are some necessary expenses that you can’t forgo. However, there are areas where you can negotiate and cut down. Insurance is one place that is open to negotiation, spend some time gathering quotes and renegotiating your insurance contracts. Another place to cut down is services such as cellphone bills. While having a cellphone is considered a necessary expense, racking up huge data costs to surf the internet or chatting to friends for hours is not necessary. You can also look at your water and electricity consumption. Just by being more vigilant you can save on these expenses. You can temporarily stop paying or reduce contributions to retirement annuities and other savings accounts. This is not a long-term solution to solve your cash flow problems and certainly don’t be tempted to cash out as there are tax implications, but reducing your savings commitments for a few months may give you breathing space until you are back in a position to service your debts and continue investing and saving. Make sure that you reinstate all your investments and savings contributions as soon as you are in a position to do so. If you are really not getting on top of your expenses and you are exceeding your income consistently, you will need to look at other ways in which to earn extra income. Again this is not a long-term solution, but can help relieve the immediate pressure until you are able to meet your obligations again. Consider working overtime to earn a bit more income or another possibility is to cash in leave days, if you have the option. Another way to earn a bit more cash could be to rent out an extra room for a few months. Don’t be tempted to miss payments or stop paying all together. Even partial payments show good faith and interest will accumulate slower, helping you to catch up. However, partial payment isn’t a long-term solution. If you are really struggling, speak to your bank. Admitting you need help as soon as you realise that you are heading into financial difficulty will go a long way to protecting your home. Your bank will make provisions for you to ensure that you keep your home. Repossession is the last resort and a bank will assist you in every possible way to ensure that this doesn’t happen. There are a number of solutions that the bank can offer to help you if you are having financial difficulties, however it is up to you to also proactively take steps to help yourself out of the position you have found yourself in – in the first place. 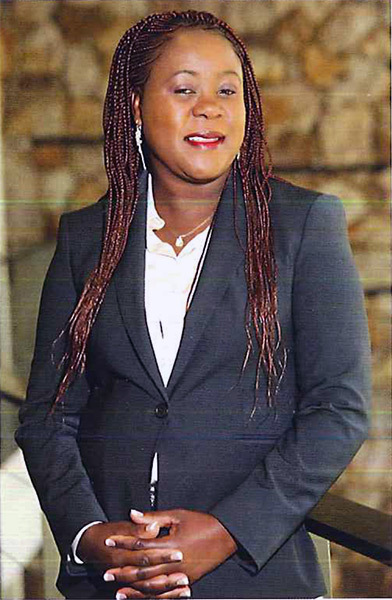 *Patricia Temba is head of collections at FNB Housing Finance.